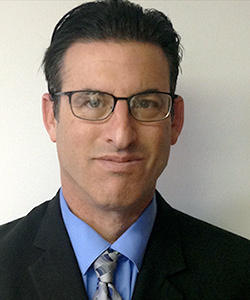 Attorney, Todd L. Levitt has practiced in the area of criminal defense for more than two decades. Todd began his career where he was born and raised working in Metro-Detroit from 1994-2006 before relocating his firm to Mount Pleasant, Michigan. During his time in Detroit, Todd launched a legal newspaper, The Legal Advocator, which appeared in both the district and circuit courts throughout the State of Michigan. Also, during this time period he appeared weekly on 97.1 The Ticket, broadcasting a weekly radio show, The Todd L. Levitt Law Show. During the 1990’s and early part of the next decade Todd produced a weekly cable show that appeared on Time Warner Cable stations. After relocating to Central Michigan in 2006, the radio show was picked up by 98.5 FM WUPS “The Todd L. Levitt Law Show, broadcasting Sunday mornings from 8-9AM, 98.5 WUPS, Houghton Lake, Rock 105/95.5 Traverse City, Petoskey Cheboygan. Additionally, the show is available by podcast on Podbean, Sound-Cloud, Radio FM, Google Play and iTunes. Since launching Levitt Law Firm PC in Mount Pleasant Todd and his associates have represented clients across Central, Northern & The Upper Peninsula defending a wide range of cases including: marijuana possession, drunk driving, minor in possession of alcohol, open intoxication, retail fraud, malicious destruction of property, attending a nuisance party, hosting a nuisance party, resisting/obstructing/ an officer, fleeing and eluding, leaving the scene of an accident, failing to report an accident, landlord tenant, assault and battery, drunk and disorderly, medical marijuana cases, delivery and manufacture of marijuana, maintain a drug house, possession with the intent to deliver, possession of analogues, driving on a suspended or revoked license, driver’s license reinstatement, larceny from a building, larceny from a motor vehicle, reckless driving, providing false identification to peace officer, marijuana caregiver issues, marijuana patient issues. Todd and associates are well known for traveling far outside the Central Michigan area taking cases. Todd and associates have traveled south to Lansing, and north to the far corners of the Upper Peninsula. Todd is often called upon to appear in the following counties but not limited to: Isabella County, Gratiot County, Clare County, Roscommon County, Gladwin County, Midland County, Ogemaw County, Crawford County, Mecosta County, Montcalm County, Chippewa County, Clinton County, Grand Traverse County, Ingham County, Kalkaska County, Wexford County, Osceola County, Otsego County, Mackinac County, and Marquette County.